Benefits and damages of histidine, an indispensable amino acid that participates in the growth and regeneration of tissues in the human body. Histidine is essential for the formation of white and red blood cells, while being responsible for the immune system’s response to allergies. It is necessary for proper mental and physical development. Histidine is considered to be a semi-essential fatty acid because elderly people usually produce sufficient amounts of this amino acid, and children do not. The most important benefit of histidine is the participation in the formation of white and red blood cells and the prevention of allergies. It is considered a precursor to glutamine. Histidine levels in the body must be balanced, which guarantees good physical and mental health. The histamine balance in the body is directly related to the balance of the central nervous system. It acts as a natural detoxifier, protecting the body from radiation and heavy metals. It helps to eliminate them by stimulating the gastric juices needed for normal digestion. In addition to being important for digestion, histidine plays an important role in the growth, maintenance and healing of tissues. Histidine is very important for maintaining sexual function because it is converted to a histamine / chemical that is needed to stimulate sexual arousal. It is believed that histidine has positive effects on auditory nerve diseases, allergies, anemia, rheumatoid arthritis and other inflammatory reactions in the body. Among other things, the amino acid histidine plays an important role in maintaining good skin condition, aiding the recovery of dermatitis. It promotes natural protection from harmful sun rays. 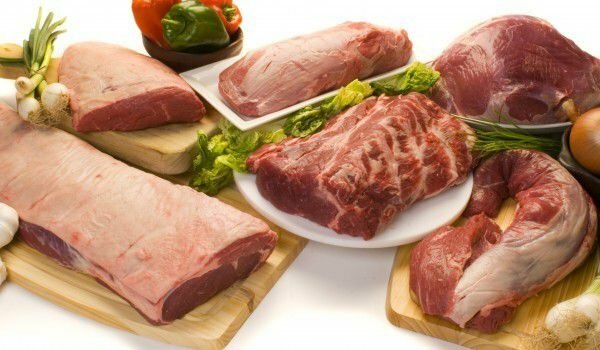 Like many amino acids, histidine is found in a number of high-protein foods such as meat and dairy products, rye, rice, wheat. Other himalayan foods include soy protein, sunflower and peanut meal, cod fish, mussels, tuna, mustard, and more. Most people do not need the use of histidine as a dietary supplement. In other cases, the optimal doses are not specified. Most studies in this area combine between 1 and 8 mg daily intake. A deficiency of the amino acid in the body can lead to disturbances in the functioning of the auditory nerve, as well as the development of rheumatoid arthritis. Since histidine has a proven effect on the central nervous system, it may cause mental disorders such as bipolar disorder and anxiety in larger quantities. No side effects of the addition of histidine supplements were seen in healthy people. However, people with kidney or liver disease should not take high amounts of amino acids without consulting a doctor. This also applies to people with bipolar disorder. Acceptance of any amino acid can lead to an imbalance in nitrogen levels, as well as disrupting the Krebs cycle, eliminating the liver and kidney toxins.